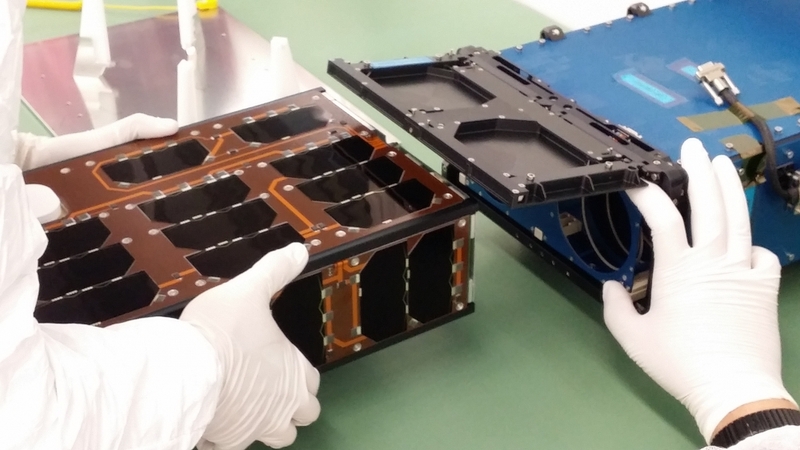 3Cat-2 carrying the PYCARO GNSS-R instrument, was successfully integrated in the Duopack and ready for launch. 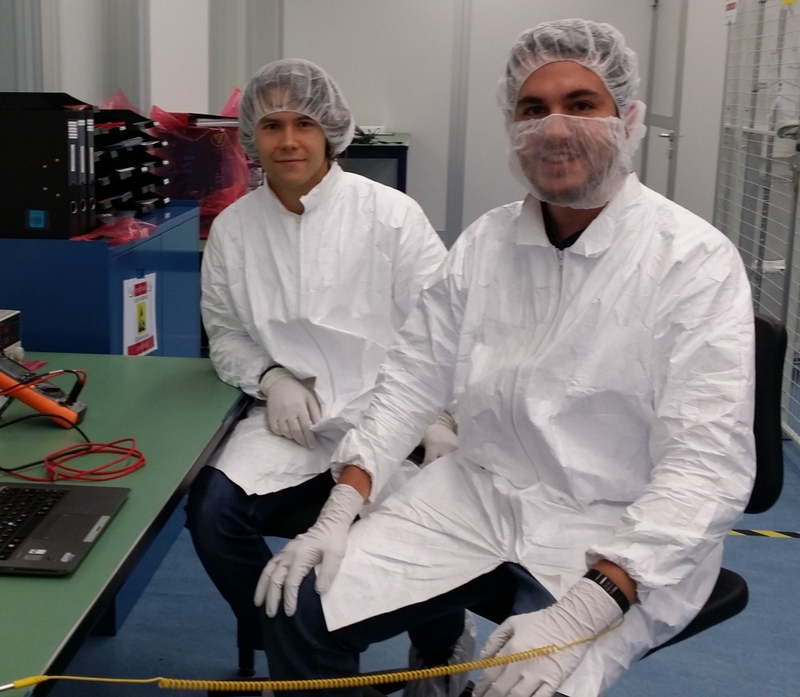 Figure: Pol and Juan togheter with Prof. Adriano (taking the picture) represented the UPC team in this delicate task. 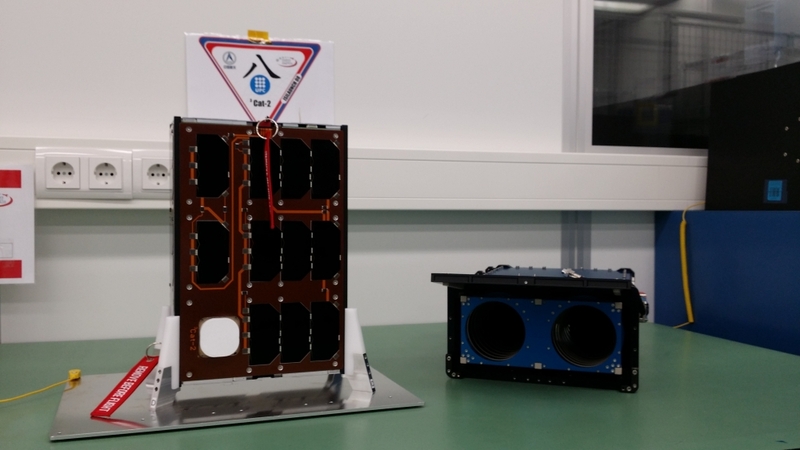 Figure: Cubecat-2 satellite in the Duopack.